CUAMM is taking part in “Breastfeeding Week,” organizing initiatives to raise awareness and educate about this best practice. A practical way to emphasize the importance of “The First 1,000 Days for Mothers and Children” program. “Breastfeeding: Foundation of Life.” This is the slogan of the World Breastfeeding Week 2018, celebrated around the world from August 1 to 7. 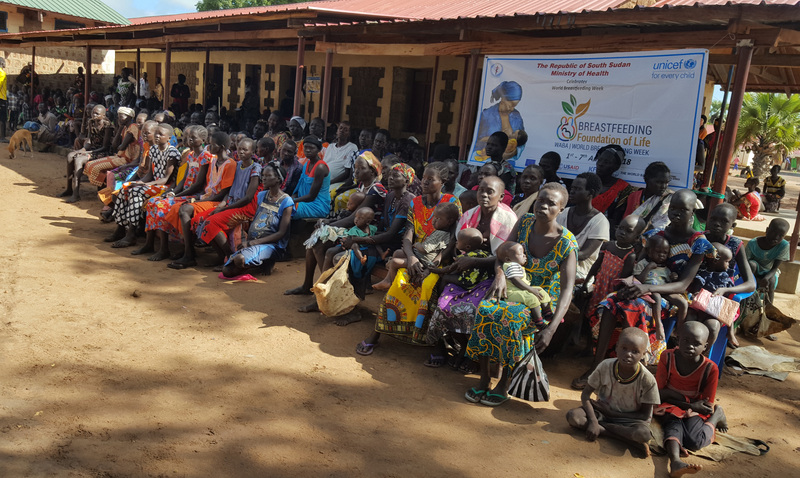 The week was started by WABA, the World Alliance for Breastfeeding Action, a global network of individuals and organizations (including Unicef, WHO, and FAO) that promote, support and protect breastfeeding as a universal right. 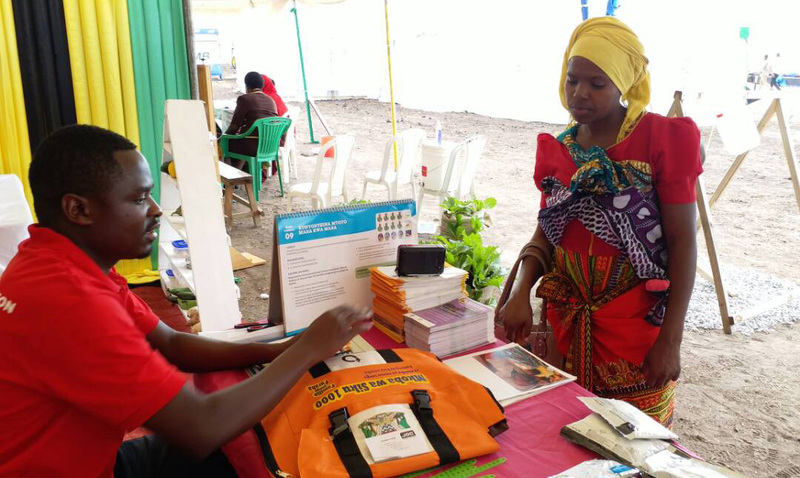 Doctors with Africa CUAMM decided to take the opportunity to take practical action to promote the importance of exclusive breastfeeding in the first 6 months of a child’s life. CUAMM is organizing many actions, especially in South Sudan and Tanzania, such as educating mothers by demonstrating how to breastfeed correctly; training for local staff to promote good breastfeeding practices; information points; community volunteers visiting homes to teach women in villages; meetings at health facilities to discuss key issues tied to breastfeeding; and HIV/AIDS screening and consulting.In the Lui Hospital in South Sudan, quiz games about the issue were even put with a T-shirt prize for the winner. 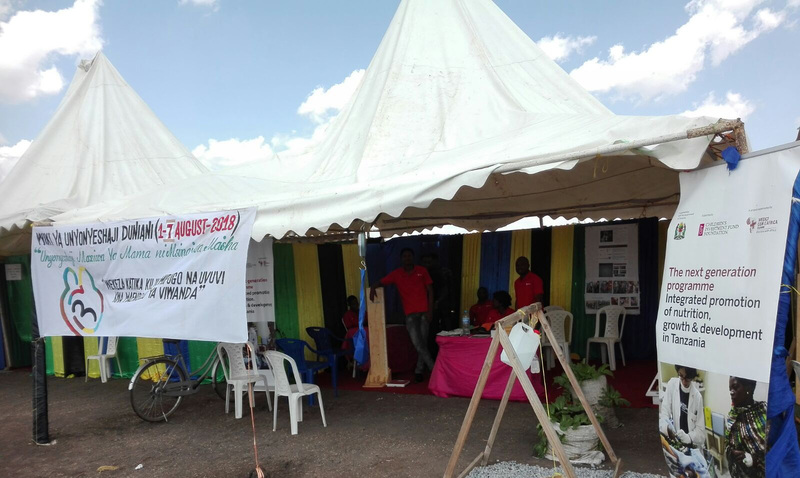 In Tanzania, Radio Sibuka broadcast information and awareness-raising ads about it. According to data from the World Health Organization and Unicef, the practice of breastfeeding is incomparable in providing children with the nourishment needed for health growth, protection from infections and diseases, and supporting better physical and cognitive development. There are also impressive positive implications for the mother’s life and health. Extended breastfeeding reduces the risk of breast and ovarian cancer and hypertension. Investing in spreading breastfeeding could prevent more than 823,000 child deaths and 20,000 maternal deaths every year and let $300 billion be generated by reducing diseases and health treatment and increasing productivity. Despite this evidence, right now only 40% of children under six months are exclusively fed with breast milk. This is why WHO has set the goal by 2025 to raise to 50% the percentage of breast-fed children. This is a way to fight malnutrition and break the cycle of hunger, poverty, and inequality.